Delaware is located on the Atlantic Coast in the Mid-Atlantic region of the United States bordered by Maryland, Pennsylvania and New Jersey. Spring and fall are the nicest seasons, but remember to carry an umbrellas, as the weather can be unpredictable. 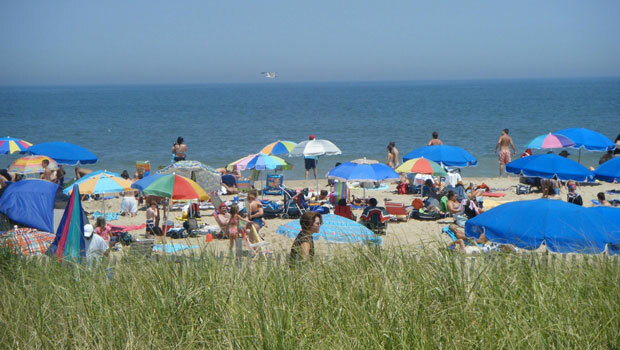 Delaware has beautiful beaches that have become popular getaway locations for Mid-Atlantic and Northeastern residents. The most popular beaches are Rehoboth Beach, Lewes (known for its historic district), Dewey Beach (popular with college students) and Bethany Beach (popular with families). The state of Delaware is also well known for having no sales tax and for being the first state to adopt the U.S. Constitution. Points of interests include Delaware Canal historic areas, Delaware Bay and seashore, Fort Delaware, and Dover and Wilmington cultural attractions to name a few. To travel around the state, you will need to rent a car or book a bus or train ticket. For more information visit: visitdelaware.com. The Delaware History Museum features collections and exhibits that excite all its visitors about the natural world. The museum is located in Wilmington and is open daily. The Hagley Museum and Library is an outdoor museum along the Brandywine River that tells the story of early American industry and 19th century industrialization. Visitors can also see the DuPont estate, the restored gunpowder mill and various machines and equipment used in the DuPont mills. First State Heritage Park Welcome Center and Galleries is in the state capital and historic city of Dover, Delaware. Visitors will find exhibits on Delaware history at the Visitor Center, historic buildings, museums and walking tours led by guides in traditional clothing from the 18th century. The Nanticoke Indian Museum is a small museum in Millsboro with artifacts and cultural objects from the Nanticoke Indian tribe, including some artifacts that date back to 8000 B.C. Learn about Delaware’s history at the Seaford Museum, located in a restored 1930’s post office. The museum’s exhibits and artifacts teach visitors about the Nanticoke Indians, life during the Civil War and other important moments in Delaware’s history. Rehoboth Beach is an area along the southern coast of Delaware and a popular summer destination. Funland, Jungle Jims Water Park and the Midway Speedway Park are a few of the tourist attractions that can be found around Rehoboth Beach. The DiscoverSea Shipwreck Museum in nearby Fenwick Island, DE highlights the maritime history and culture of the area and displays artifacts recovered from shipwrecks. Visit the Rehoboth Beach Museum to learn about the history of the area through exhibits, events, tours, lectures and other programs. 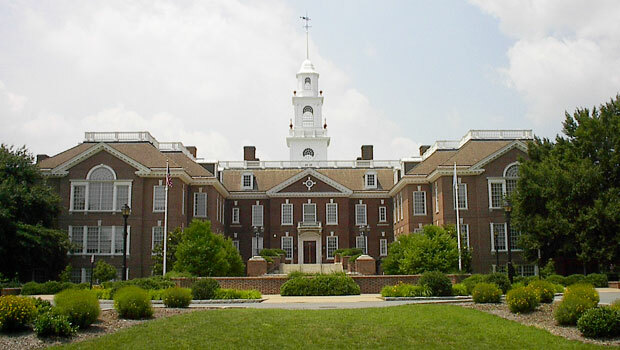 The Delaware State Capitol (or Legislative Hall) in Dover, Delaware. Photo by Joshua Daniel Franklin. The Wilmington Blue Rocks are a minor league baseball team playing at Frawley Stadium in Wilmington. The Dover International Speedway hosts NASCAR races, IRL IndyCar series and other races on the track known as the Monster Mile. A view of the beach in Rehoboth Beach, Delaware. Photo by Dough4872. Camping is available in many state parks across Delaware, including cabin and yurt rentals. Note: Some campgrounds are closed in winter months, and reservations are strongly recommended. Cape Henlopen State Park in Lewes has two designated swimming beaches, a golf course, picnic area, hiking and bike trails and basketball court. The park is also a popular site for events like the Kite Festival and educational programs. Delaware beaches are a popular destination for visitors and residents of nearby states like Maryland, Pennsylvania, New Jersey and Washington, D.C. Swimming, boating, surfing, kayaking, kite boarding, sailing and other water sports are available on beaches in Delaware. On land, visitors can enjoy biking, running, hiking, basketball, volleyball, baseball and parks. Fenwick Island State Park is a three-mile area between Bethany Beach and Fenwick Island near the border of Delaware and Maryland. The beach has designated surfing and swimming areas, and visitors can rent chairs, umbrellas and rafts in the summer. Ocean fishing is also popular in this area. Wilmington State Parks, a group of four state parks, have many attractions and outdoor activities like the Brandywine Zoo, hiking, biking, running, athletic fields and areas to picnic and barbecue. Find information on outdoor activities in Delaware on the Delaware State Parks website. Delaware has a mixed cuisine, with influences from early English settlers, the cooking styles of the Chesapeake Bay region and recent immigrant groups that have settled in the area. Seafood is common, such as crab cakes, oysters and shrimp. Fresh produce like peaches and apples are also popular in Delaware (check out the peach and apple festivals in our Food Festival section below). Find a local Delaware farmers’ market for fresh fruit and vegetables and other local goods at the State of Delaware website. Old Dover Days in May celebrate Delaware’s history as the First State with Maypole dancing, parades, food, colonial clothing, walking tours, arts and crafts and other activities and events. Firefly Music Festival is a large event attracting top bands and artists to Dover over three days in June. Tickets are available for single days or three-day passes and food, drinks, activities and camping are also available during the festival. DuPont Clifford Brown Jazz Festival is a free outdoor music event in Wilmington’s Rodney Square. Live concerts are held at noon and in the evenings on weekdays and throughout the day on Saturday at this weeklong event. The annual Delaware State Fair is held in Harrington each July and features carnival rides, agricultural shows, live music, arts and crafts, competitions, many food vendors and much more. The Nanticoke Indian Pow-wow in September celebrates Native American culture and the heritage of the Nanticoke Indians with music, dancing, art and traditional crafts. Tours of the Nanticoke Indian Museum are also available at the pow-wow, located in Millsboro. The World Championship Punkin Chunkin in Bridgeville, DE is a November event that revolves around a pumpkin-throwing contest known as “punkin chunkin," and it is the oldest and largest event of its type in the United States. The event also includes carnival rides, food vendors, live music, fireworks, cooking competitions and more. For more festivals in Delaware, visit the state’s tourism website and Delaware events page. The Dewey Arts Festival in May is a fun, family-friendly event featuring arts and crafts, artists, live music, food, children's activities and more! Enjoy free movies every Monday night at Dewey Beach during the summer. Family-friendly movies are shown in June, July and August. Dewey Beach also hosts Wednesday night bonfires - perfect for making s'mores - throughout the summer. The annual Sandcastle Contest on Rehoboth Beach attracts over 800 talented participants and 100 teams each August. Visitors can watch the teams in action as they sculpt huge sandcastles and other creative creations out of sand. 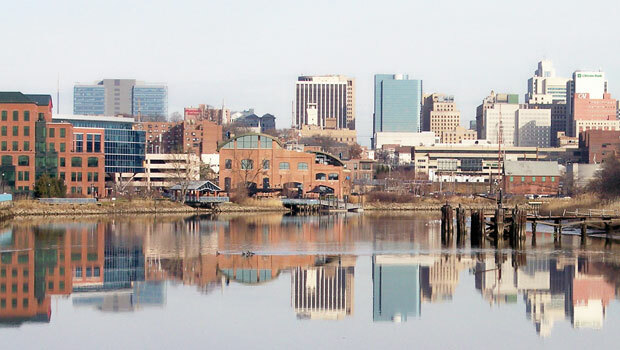 Downtown Wilmington, Delaware and the Christina River. Photo by Tim Kiser. The primary public transit system in Delaware is the DART First State system, which includes buses in Wilmington, Newark, Dover, coastal Delaware and Elkton in Maryland, and train service to Philadelphia on the SEPTA rail system. In Rehoboth Beach, the Jolly Trolley operates a daily shuttle between Rehoboth and Dewey Beach. A ferry for cars and passengers travels between Lewes and Cape May, New Jersey. Greyhound has limited bus service in Delaware to Dover, Wilmington and the University of Delaware, connecting to locations like New York City, Baltimore, Cleveland, Philadelphia and Pittsburgh. Megabus travels between Newark and Baltimore, New York City or Washington, D.C.
Peter Pan has an express bus service between Wilmington and New York City. Amtrak trains stop in Newark and Wilmington and connect via bus to Dover. Routes include the Acela Express, Cardinal/Hoosier State, Carolinian/Piedmont, Crescent, Northeast Regional, Silver Service/Palmetto and the Vermonter. Read about biking in Delaware from the Delaware Bicycle Council, including bike maps, safety tips, biking resources and more. Help build housing for families in need with Habitat for Humanity in Delaware. Find a local affiliate and sign up as a volunteer – no experience required! Both individuals and groups are welcome to volunteer. Volunteer Delaware connects organizations in need of help with volunteers looking for opportunities. Use the online search engine to find a volunteer opportunity based on your location, interests and time commitment. Food Bank of Delaware offers volunteer opportunities for groups and individuals. Volunteers can help sort food, repack items and assemble meals for after-school and summer programs, or commit to long-term assignments in other areas of the food bank. Volunteer with the Rehoboth Beach Film Society to help with special events like the Rehoboth Beach Independent Film Festival. Contact the society to learn more.